jaanika: What's in my phone? 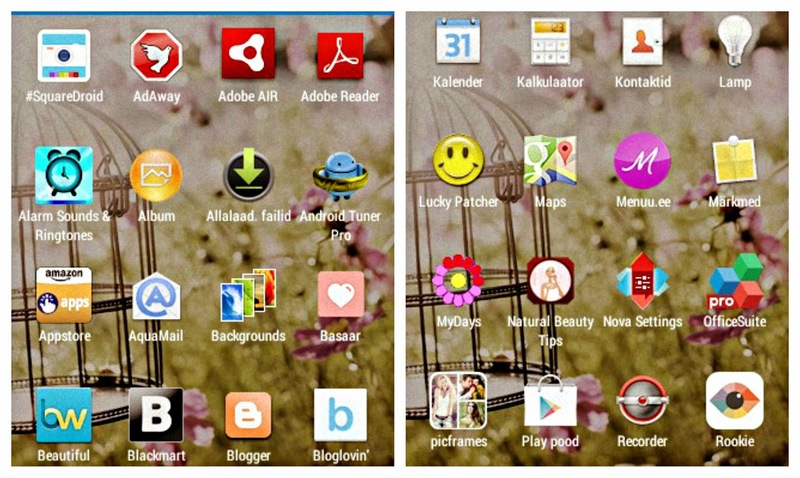 AdAway,Adobe Air,Adobe Reader,Android Tuner and Download files- I don't use those apps but my boyfriend says that they are very important and i have to keep them. Alarm sounds-I use this to change my alarm sound,because i get tired easily if i have the same sound all the time. Album-I have all my pictures in there. Appstore-I don't use it often but sometimes there are games that Google play store doesn't have. Backgrounds-It is my fav place to search and use all kinds of different images for my phone. Beautiful Widges-All my clock or weather image widges are in there.I can change and choose on many different designs. Lucky Patcher,Nova Settings,Recorder,OfficeSuite-Again,these apps are important,i don't know why but they are,so i am just gonna keep them. Menüü-Sometimes if i don't know what to cook for dinner i use this app and usually i find something.I like it because u can create a shopping list and it makes my life so much easier when i am in the store. Natural Beauty tips-I have used some tips on there.But nothing special. Sound Sleep- Sometimes if i have drouble to fall asleep,then i use this app and instantly i am sleeping.There are many different options of sound and music that you can choose and also a timer. GravityBox-I use this app to change my icons. 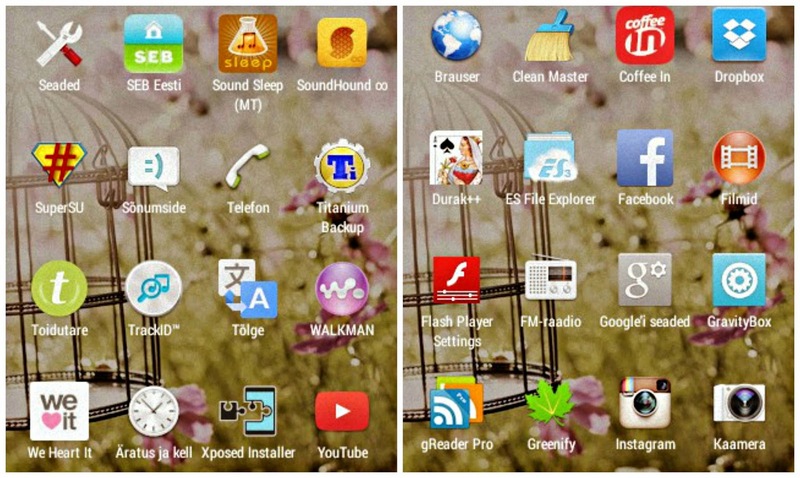 Clean Master-Vey useful app.It cleans my phone and keeps it runing. Greader Pro-I use it to read news on Postimees and other Estonian papers. What is your fav phone app? Tõmbasin ka telefoni Basaari aga ei lase kasutajat teha. Väga tahaks kasutada aga jah mis teha.